Will you now be more likely to share your thoughts here? I find it frustrating when people make blanket statements about a topic without proof to back up their claim. They present their argument as the gospel truth when, in reality, it is only based on speculation. At the most they have anecdotal evidence to support their claim, not anything that would validate their position. Truth is, I also do this more often than I should. Evidence is the best indicator of truth. That’s why it’s so vital in a court of law. Without sufficient indicators that connect the dots, the accused will more than likely walk free. That’s why the prosecutor works diligently to acquire the necessary knowledge to convince the court his arguments are valid. What does this have to do with a blog commenting system? Well, I can’t make any declarative statements about which one may be better or worse without gaining some knowledge for myself. So I’m deciding to run a little test. I’ve had the DISQUS commenting system on my blog since its inception. Honestly, I had no biases towards it when I began, being such a newbie blogger in those days. I happened across a few solid reviews for it, saw it on several key blogs I was reading at the time and thought I’d give it a go. For some time now I’ve been reading about the debate over whether third-party comment systems like DISQUS are effective. As with any system there are pros and cons to using them. The two big drawbacks seem to be that they are not optimized for SEO and that they create an unneeded barrier to engagement. 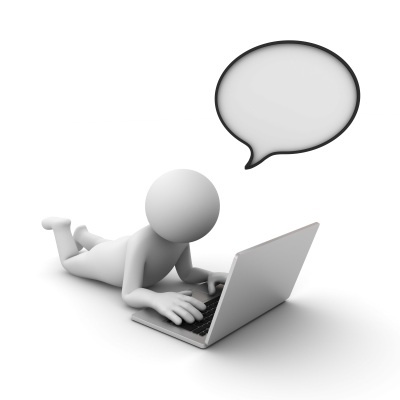 The system requires users to register an account with the comment system before they are allowed to comment. Evidently many people don’t want to hassle with that and thus choose not to comment. That’s not good since comments are seen as the lifeblood of an engaging blog. So last weekend my DISQUS plugin registered on my WordPress dashboard as having an update available. I clicked to update the plugin and in the middle of the process my Internet connection cut out. I received an error message and was forced to wait a few moments before I could refresh my page. Once the connection returned, I noticed the plugin had indeed been updated. However, for some reason it had also been deactivated. When I went to a blog post, all the old post comments were showing up in the standard WordPress commenting system style. Weird. So, for the next six months Luke1428 will be running the standard WordPress commenting system. My goal is to see if it increases engagement. I’ll be comparing the total number of comments in the first and last halves of the year. I really don’t know what I’ll find or if other factors will contribute to more or less engagement. Once completed though, I will share my results with you. I wouldn’t feel qualified to present a case one way or another until I gave it sufficient due diligence. What commenting system do you use? Do you comment on DISQUS blogs? What benefits or challenges do you see with it? What are some other ways to test reader engagement? What have you done to get your blogging community more involved with your site? My experience is that once you join, your profile comes up for every site that uses Discus, as an example. I do kind of like the Commentluv tool, because it links the person’s last post, which I think is kind of cool. Sometimes you have to re-enter your info every time, which you can do easily when your browser remembers your past entries. I used to think even this was a pain, but now I don’t mind as much because I read recently that you should change your name periodically or have different variations of your name when you comment. “Your profile comes up…” That was my experience with Disqus as well. I’ve seen less and less sites use Disqus since I published this post. Not sure what the reason is…just don’t see it much anymore. And to be fair, I’ve seen less sites use the CommentLuv tool also. Thanks for sharing this post , Thank you so much it is very helpful. I’ve stopped commenting on blogs that are too complicated to leave a comment on. It takes up so much time and is so frustrating. I’m commenting on up to 30-40 blogs so it has to be quick and easy! Yours is quick and easy. I can see why that would be an issue if you are commenting on that many blogs during the week. So far this seems to be much easier than what I had been using. I went with Livefyre mainly because the comment system looked dumb on my theme and I didn’t have the time or skill to make it look decent. If I could just “copy/paste” your code or some other bloggers code who has it set up to look decent I would probably make the change asap. DC recently posted…Should you Donate Money When you are in Debt? Wish I could help you with the coding DC. I’m limited at best in that regard. “…standard WP comment system.” It seems to be a simple format that allows for easy commenting. Plus, I get to see the cute smiley faces now. 🙂 DISQUS didn’t convert those. I tend to stay away from blogs that use Disqus and other 3rd party commenting systems. It’s just annoying to have to log in and make a comment. I understand why many bloggers use it, but I have no problems with spam comments and I use the built in commenting system. I installed a spam filter and then just changed the setting that I have to auto-approve the first comment by anyone. After they are approved, my work is done. I rarely see a spam comment get through and the back end clean up that I do only takes a few minutes. “…the back end clean up that I do only takes a few minutes.” That’s what I’m seeing. Most spam gets blocked out and what little does get through only takes a minute to clean out. No problems really to speak of. I’ll definitely share my findings at the end of the year. I think doing this experiment will be good Brian. I have tried different systems on other blogs I own. I have found the standard WordPress commenting system works just fine and people don’t have as many issues with it. You will get more spam though, typically! I have seen an uptick in spam that I have to delete. My Antispam Bee plugin is catching most of it as it learns what is and isn’t spam. Well done. You’re going to like not having to deal with Disqus anymore. The standard wordpress comment system works just fine. The early returns are positive in my mind. We’ll see how the experiment goes. I have a ton of problems with my comments actually going through on WordPress, to the point that maybe 25% of my comments don’t go through. I think WordPress thinks I’m a spambot (maybe I leave too many comments?). So hopefully you’ll see this! That is odd. Seems to work here well enough. I’ve never been a big fan of Disqus because you have to set up an account etc. It’s hard enough to get people to comment let alone having them jump through hoops. I find that more bloggers might take the time to do that because they obviously want to comment back or return the favour of commenting. I just keep it simple but moderate as well. Simplicity…Yes, I agree. Too many bells and whistles are a turn off. I don’t use Disqus on my blog but it can be useful for some people because even though they have to login first they can get the reply on their email without having to go back to the blog. CommentLuv is a great alternative I think, less the advantage of having the reply sent directly to the email. One can use ReplyMe together with CommentLuv though, but ReplyMe hasn’t been updated for more than 5 years so it might have some security issues. I’m working on the email reply feature now. I also like receiving responses in my email so I don’t have to go back to the blog. I’m confused, Brian. After you disconnected from Disqus and I wanted to comment, I had to register as a user on your site. It was weird because I leave comments at other wordpress sites and didn’t have to register. I’m not sure if it’s because they are wordPress.com sites and I already had an account with WP.com. In any case, I did register with Disqus when I first started blogging so once I had an account I was able to use it for any other sites that used it, but yours and Tonya’s are the only two that come to mind. In some ways I didn’t like that there were so many different commenting system in use, but I hate monopolies more so once I registered for DISQUS and Livefyre the problem was solved. I do like Commentluv though for the reasons already stated. Now that I’m on self-hosted WP I’ve installed it and it is FAB! I was still working through my settings the other day trying to get this set up the way I wanted it. I disabled the login feature now so that is no longer necessary to comment. ok thanks for clarifying, Brian! Another benefit is I love browsing/finding new blogs from the commentors website links. I’ve stumbled on some great blogs this way that I would not have been able to find. It will be fun to hear about the results. “…stumbled on some great blogs…” That’s happened to me to Wade. If you are interested in a certain niche that certainly is a quick way to find sites. Glad to see you trying a change! on a couple of blogs. Starting about a month ago, I’m pretty sure temperamental Disqus decided to start tagging my comments on here as spam (on one of your posts in June I tried commenting three different times and each “went into moderation” and then evaporated) So I quit commenting. On your anniversary post I was surprised to see no Disqus, so I wrote a short comment and voila, it appeared. Same thing happened on another blog and sure enough, the blog owner found my posts in his Disqus spam file. I’m with Mrs. Pop on this one I prefer the standard comment on wordpress, being a newer blogger I’m also more likely to comment on a site that give an opportunity for a reader to see a recent article to give my blog post a look as well with commentluv. Well, I’ll probably be doing CommentLuv here soon so check back for that. I enjoy doing what I can to support other bloggers. I really enjoy commenting, so I’ve made the “sacrifice” to sign up for Disqus and Livefyre. I do try to comment on blogger sites, but it can be difficult, especially on a phone. Actually, commenting via Disqus and Livefyre from my phone was a hassle at times. I think the native system is the easiest to run with. I had signed up for those two services as well, so for me commenting on other sites was never really an issue. It’s good to know this will eliminate the mobile issue. Great idea to test and come up with your own decision. One thing to remember/consider though. Your engagement will naturally increase with time anyway…you already have momentum. A true test would have to different blogs start at the same time in the same niche and see how each performed. Either way, I’m glad I found your blog…I’m adding to my reader and I’ll be back whatever you decide. “Your engagement will naturally increase with time anyway…” I know…that’s what I really can’t measure with this test. Thanks for sharing! I look forward to connecting with you more. I’ve had one person mention to me they don’t like that commenting system, but I just sort of stuck with it anyway. Healthy, Fit, and Frugal uses the internal system. The only thing I want people to be able to do is see my response. Often times I will post a comment with a question, but I have to physically go back to the site to see if there is a response. Not a fan of that, so I’ll see if this one sends me an email with your response. Well, I will certainly support your test with a comment. As with Mrs. Pop, I find DISQUS the least bad of the 3rd-party commenting systems (LiveFyre won’t even let me comment when I DO try!). But anything that requires a social media login to comment simply isn’t going to happen. And I’m a commenter. If I’m going to read a blog post, i will almost always want to comment. And if I can’t comment, what reason do I have to come back to that blog? “…if I can’t comment, what reason do I have to come back to that blog?” I certainly can appreciate that Edward. I feel the same way. I guess I just hadn’t studied the issue enough until recently to realize how many people are really fired up about it. Thanks for sharing your thoughts! You know I’m registered for DISQUS since I’ve commented on your site before, but I’m so glad you are at least running this experiment. I use my iPhone or iPad for my blogging activities and I can’t explain it, but DISQUS bothers me on those Apple products. Plus, I’m really interested in the outcome. I’ve heard there does seem to be some interesting quirks with DISQUS on certain devices. With so many people going mobile you’d think they would clear up those issues. Makes for a bad experience. Great Nicola…so glad you stopped by! I look forward to more interactions. Well done and congratulations! Glad to see you test things out and allow for all of us to comment now. I’m a big test and measure guy. If you let people know a change is just an experiment they will be less likely to be upset if it fails and you have to revert back to the prior operating standard. I’m interested to see how this turns out and will definitely report back to the Yakezie members on what I find. I, for one, never comment on something I have to register for. If it’s a site I’ve registered for for other reasons, I’ll comment, but otherwise… no. I also agree with Mrs. Pop – I’m absolutely not linking with my FaceBook to comment. “…never comment on something I have to register for.” That seems to be an issue out there John. Hopefully this eliminates that and engagement goes up. I’m not a huge fan of DISQUS, but will actually use it from time to time. Anything that requires facebook to comment, however… I run from that. And the blogger comment system with pop-ups is just horrible. Totally unusable on a mobile platform which is where I do most of my blog reading these days. Mr PoP runs our site’s backend, but I think we use a comment plugin called commentluv. Doesn’t require a login and automatically gives people with websites a link back to their most recent post. I’ve seen CommentLuv on other sites and will probably install it here. I like how that leaves a link to a blogger’s most recent post. I’ve found interesting articles that way I wouldn’t have otherwise seen. In that way it’s an opportunity to give something back to the blogging community.